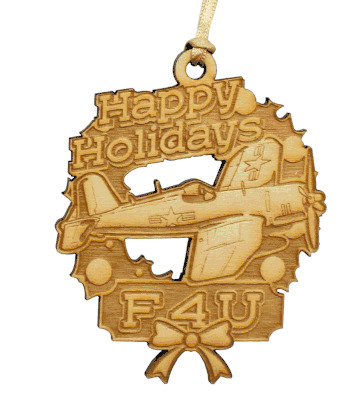 Holiday Decorations: This laser cut holiday ornament of the F-4U Corsair aircraft is laser cut showing great detail. 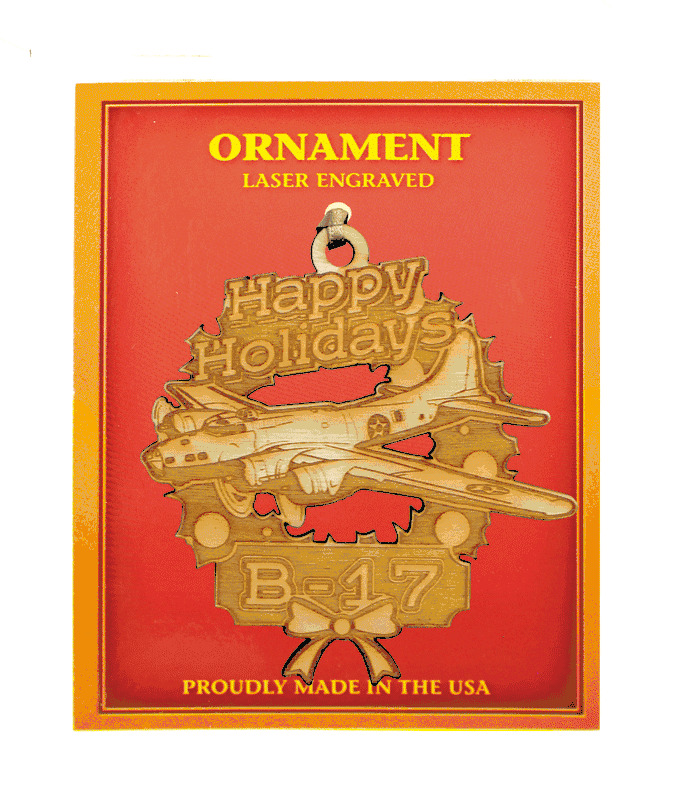 The wooden ornament is completely crafted in the U.S.A., and arrives on colorful display card. The example of the display card shows the B-17 aircraft, but you will receive the F-4U aircraft.